The Belbin model is a a very effective and insightful team behavioural test. It was devised to measure preferences for nine Team Roles; Chairman, Shaper, Plant, Monitor-Evaluator, Company Worker, Resource Investigator, Team Worker, and Completer-Finisher. The Inventory assesses how an individual behaves in a team environment. The assessment includes 360-degree feedback from observers as well as the individual's own evaluation of their behaviour, and contrasts how they see their behaviour with how their colleagues do. Belbin himself asserts that the Team Roles are not equivalent to personality types. The Belbin Inventory scores people on how strongly they express behavioural traits from nine different Team Roles. A person may and often does exhibit strong tendencies towards multiple roles. 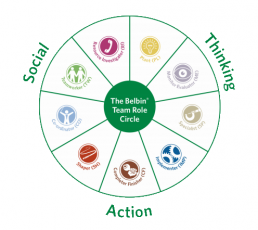 Knowledge of Belbin's Team Roles model can help you to identify potential strengths and weaknesses within your team, overcome conflict between your co-workers, and understand and appreciate everyone's contributions. By using Belbin, individuals have a greater self-understanding of their strengths, which leads to more effective communication between colleagues and managers. Great teams can be put together, existing teams can be understood and improved, and everyone can feel that they are making a difference in the workplace. All organizations want high performing teams, but how can you ensure that yours will be? Whether you’re forming a new team, introducing new people to an existing team, or trying to resolve issues within a team, a Belbin Team Report can help you to manage it. The starting point is with the individuals making up the team. Once you have Individual Reports for each team member, you can bring that information together to make a Belbin Team Report. How can Belbin help my teams perform better? 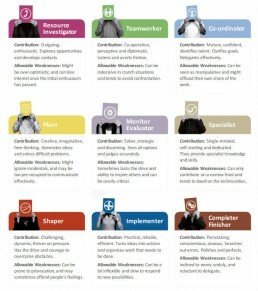 A Belbin Team Report will look at each of the individuals making up the team, and the contribution (or role) that they are most likely to play within the team. The Report will quickly identify where there are gaps, and where there are overlaps. Both of these situations could lead to conflicts within the team, and will mean that the team is not performing optimally. Information contained within the Report will help you to quickly identify who is the right person to perform each role or task within the team. What makes one team perform better than another? Belbin’s original research showed that the most successful teams were not necessarily the ones with the smartest people in them, but those with the right blend of Team Roles (or behavioural contributions). There are nine different Team Role behaviours that must be present within the team in order for it to be as efficient and successful as it can be. Imagine if a team was full of creative ideas people, but had no-one to actually deliver the project! This doesn’t mean that you need nine people in each of your teams, since each person can take on more than one Team Role.